Ove von Spaeth (Copenhagen, Denmark), - is a scholar, historian, writer, and researcher on the history of science and ancient religious cultures. He is known for his prolific and interdisciplinary investigations, conducted through thousands of ancient sources and references, about the historical Moses. This body of research provides a material basis for bringing Moses back into history from realms of myth, legend, and biblical 'revisionings' over millennia. The results are presented in five volumes - the first time that a work of such length and exactitude on Moses has been made. 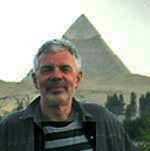 Ove von Spaeth has been acclaimed for his pioneering work of decoding information regarding dates in the world's oldest star-map in Egypt (in Senmut's ancient tomb at Thebes, Luxor). The author's methods and results of using astronomy for a more accurate dating of the 18th dynasty of Egypt and its significant turning-points 3,500 years ago have proved valuable to modern research. The new insights shed light on difficult matters of ancient chronology and offer new perspectives for the entire history of the Middle East during this era. Over the years, the author has published several articles and features related to his research in the fields of historical astronomy, ancient world-cultures, history of religions, myth, and anthropology. Together, these have contributed significantly in expanding public interest in ancient history and aspects of knowledge carried by ancient cultures. Some details elaborated. On the basis of research conducted over twenty-five years in tracking the historical Moses, Ove von Spaeth has been able to share his results which point to new and more concrete directions with regard, not only to Moses, but also to related historical areas and biblical data. Culling materials from fragmentary sources spread out in different places and expressed in different languages, he has brought them together in ways that enable a coherent synthesis and whole. As well, earlier research results were often found to be influenced by unfounded hypotheses from previous centuries with less-developed textual analyses and a rudimentary science of archaeology. These directions of research tended to place Moses up to 250 years later than estimated now and, finding little material evidence for his existence, often concluded that he was a figment of mythic imagination. In 1937/1939, Sigmund Freud, in his "Moses and Monotheism", came up with his special contribution to an earlier thesis that Moses was a high-ranking Egyptian. Ove von Spaeth's hypothesis of Moses' high-ranking status in the Egyptian royal family - meticulously researched from an impressive display of sources in the ancient Rabbinical Writings, archaeology, Egyptology and epigraphic studies - is presented in his book-series. Scholars in the fields of Egyptology, history of religions, and archaeology like G. Lefébure, V.H. Juvelius, J. Garstang, J.J. Bimson and S. Ratié have contributed towards determinating a more accurate status, place or dating of the historical Moses. However, an in-depth study of historical data regarding Moses has never been carried out before and the results show the necessity for continued investigation of rich resources of existing and neglected material which could contribute significantly to filling out displaced parts of the history of Moses and his crucial contributions to the history of humankind. A possible drawback in Ove von Spaeth's hypothesis could be the analysis of so many different kinds of source-materials and research lines - with their different methods of testing - that are brought together in his work. Another weakness might be his investigative approach which is characterized by an examination of many areas in generally known and accepted fields of research study rather than of contesting particular schools of thought with their assumptions and theses. By doing so, the author might be excluding possibilities of providing a clearer picture with a limited number of features to relate to. The research methodology used by von Spaeth is based on definite distinctions between description and analysis. 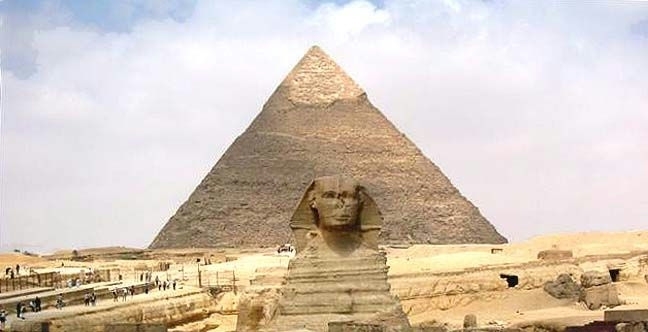 In this, he concurs with the principles of anthropology, among other disciplinary sciences, in expanding a factual base to operate from in explorations of ancient societies like Egypt. His clues and indications regarding enigmas of ancient history have extended the range of access to information about knowledge-systems of Antiquity. This seems quite essential for establishing a still more accurate understanding of our cultural past. It is an achievement for which von Spaeth has been widely recognized by scientific experts and scholars world-wide (credentials). Ove von Spaeth's book-series on the historical Moses appears to be the most comprehensive and exhaustive work in the field and is based on detailed cultural research. It is also innovative as an interdisciplinary project conducted across several scientific areas and thus brings together an array of perspectives into an individual work on history. It is perhaps significant that the book-series on Moses has evoked mixed reactions and considered controversial by some theological scholars. However, given the fact that von Spaeth's books are constituted of a vast collection of concrete sources, he is able to document an important fact: that much of the available information contained in ancient Rabbinical Writings and biblical Moses connected texts concur, in exacting detail, with information contained in Egyptian inscriptions of the early 18th dynasty. Furthermore, his books support the fact that surviving ancient astronomical data can help to enhance the accuracy of important chronological questions regarding the historical Moses. All these sources have never heretofore been brought together on such a large scale for the purposes of a systematic analysis - this collection is of incommensurable value for ongoing research in this field. Ove von Spaeth's treatise on the world’s oldest star-map (Egyptian) was a pioneering scientific work published in "Centaurus International Magazine of The History of Mathematics, Science, and Technology" in July 2000. "... The study concludes as follows: The Senmut map depicts an exceptional event in the sky. This seems to have produced a prototype for all later pictures of similar celestial events - but with one exception: In the first depiction, in the time of Senmut, Mars is retrograde in the west when the other planets assemble around Sirius in the east. So far has been demonstrated: - 1) The Senmut maps contain a cosmological and astro-mythological expression not only as decoration - as hitherto assumed - but also as a picture of a particular and unique situation in the sky. - 2) This configuration of the sky can be exactly dated: 1534 BC. In addition the star maps may contribute to a much better dating of their creator Senmut and also of the contemporary Egyptian pharaohs ..."
This research yields significant results for further development: - a) it presents a critical methodology for dating similar star maps in ancient Egypt and, b) it establishes the fact that other star maps - for example, of Ramses II - are constructed according to similar systems containing information that reflects an exact dating. An additional consequence is that an important era of ancient Egypt - the 18th dynasty - is now able to be dated more accurately. The configurations of the Senmut star map, which have been viewed largely as mythological expressions of ancient astronomy, were revealed through Ove von Spaeth's investigations to be an accurate representation of a rare gathering of planets in clearly defined celestial positions and, by this means, to be constitutive of a specific, unambiguous, point of time. The decoding of the Senmut star map also points to an ancient meta-scientific tradition of sky-recordings which the modern sciences of astronomy or Egyptology alone could not have solved. Leading international scholars on the history of astronomy and of Egyptology - Prof. Owen Gingerich of the Harvard-Smithsonian Institute, Sir Patrick Moore, astronomer and science-editor of BBC, and Prof. Erik Hornung, Egyptologist at Basel University - have acknowledged the importance and significance of the star map dating project. As documented by Ove von Spaeth, the system appears to have been part of a forgotten astronomical tradition and he shows how the new dating method, furthermore, fits other star maps of the era in question. This discovery also reveals that the astronomical knowledge of ancient Egypt was far more advanced than has been previously acknowledged and exacting in detail. The dating of the Senmut star map carries further implications - it may contribute, for example, to a more precise determination of Moses' dates in history. In addition to this, Ove von Spaeth has been able to determine astronomical dates for some of the Danish astronomer, Tycho Brahe's enigmatic writings. Part of this research is added to a treatise by Peter Zeeberg, Ph.D. in Latin Language and Literature at the University of Copenhagen (and published in the 'Renaissance Studies' from the 'Museum Tusculanum', vol.7). Ove von Spaeth's early researching in cyclical phenomena, synchronicity, and 'pattern recognition' - was supported by his connections with Clyde Tombaugh (cf. New Mexico University Libraries), astronomer and discoverer of the planet Pluto as well as of several thousand asteroids, and with Glenn T. Seaborg and Edwin M. McMillan, both nuclear physicists and Nobel Prize Laureates who discovered two new radioactive elements - plutonium and neptunium. He also corresponded with Britian's Astronomer Royal, Sir Martin Ryle, and George V. Coyne SJ, director of the Vatican Observatory and research head at the University of Arizona's Observatory. The results of OvS's innovative research were published, however, in a broader context in order to make them accessible and available to a more diverse audience (cf.propagation, next paragraph). The publications include presentation of the author's discovery of a formerly used coding system for astronomical information - methods known from antiquity to the Renaissance. A distinctive quality of Ove von Spaeth's work is that he currently advocates for a more unprejudiced approach to scientific research on ancient history. By distilling information from special fields of ancient history and cultic religions with enduring cultural value and significance, he has contributed to contemporary awareness and recognition of the profound interrelations and intimate links between past and present living history. The author's researches were significantly influenced by a prolific exchange of information and data with contacts with international scientists and scholars - all important for the development of innovative approaches to historical knowledge. He has also served as reviewer of the 'Astronomical Journal' (a now former Scandinavian magazine), and consultant for 'The Steno Museum' - Denmark's National Museum for History of the Exact Sciences. He has also worked as referee/reviewer for the 'Isis Journal of the History of Science', the world's oldest and leading international magazine of the history of science. To facilitate the usage of research information for broader audiences, Ove von Spaeth's paper on the Egyptian star map was adapted and is attached as an appendix to Vol. II of his book-series on the historical Moses. It serves here as a means for accurately dating of this era. In Scandinavia, the book-series has served as a basis for specialty guided tours in Egypt designed for visiting places related to Moses. From the inception of the book-series on Moses, the Danish Ministry for Foreign Affairs included these books among their recommended literature about Egypt. They are in official use at the Ministry's basic school for experts from the Department for Development Aid. Later, with the growth of international interest in them, the book-series have also been included in institutions such as the National and University Library of Israel in Jerusalem. More recently, an 'Interest Group for the Ove von Spaeth Papers' - namely 'Papers on History and Knowledge - Rediscovery, Insight, Renewal' has been established on Facebook with its richly interactive networks worldwide. Debates and discussions on dimensions of Ove von Spaeth's ongoing researches are an integral aspect of this site: http://www.facebook.com/group.php?gid=45399163234&ref=nf (in English and Danish). In connection with his work in different ways, Ove von Spaeth has also been closely associated with Dr. Kristian Peder Moesgaard, historian of science (ancient astronomy); Dr. Erik Iversen, Egyptologist; Jens Jorgensen, (M.A.) historian, author; Dr. Erik Dal, chief librarian at Denmark’s Royal Library; Leo Hjortsoe, associate professor and author in classical Greek art and mythology; Marayat Rollet-Andriane (pen name Emmanuelle Arsan), author and actress; Jurij Moskvitin, (M.A.) philosopher, author, composer, and mathematician. In order to make his research results accessible to both general readers and experts, von Spaeth made the books and articles designed for easy comprehension. The pioneering research and special historical materials in Ove von Spaeth's works have led to a considerable interest and recognition from other authors world-wide. Often, the works have been directly cited but have also served to inspire related projects. For example, in the years between 2004-2008, one can note works by Erling Haagensen, author and filmmaker ("The Murder of the Word"), and by Annie Dunch, lecturer and author ("Life after Life"), Erik Juul Clausen, journalist and author ("Pharaoh's Eye") in Denmark - and in South Africa author and journalist Lènor Tancred ("The Herder Prince"), and in Yugoslavia astronomer Boran Novakovic ("Senenmut: An Ancient Egyptian Astronomer"), - and a couple of others. On The Moses Book-series: - The series of five books on the biblical figure Moses, is an interdisciplinary work based on ancient textual sources such as the ancient ‘Rabbinical Writings’, archaeological evidence, and astronomical data. Von Spaeth attempts to develop a historical alternative view of Moses Egyptian background. In the first book of a series, von Spaeth suggests that Moses was an Egyptian prince and heir to the throne who found himself disinherited and forced into exile as a result of complex plots and intrigues at the royal court of the pharaohs Hatshepsut and Thutmosis III (approx. 1500 BC). - Danish title: 'De Fortraengte Optegnelser', C.A. Reitzel Publishers, Copenhagen, ISBN 87-7876-124-7. The second book suggests that Moses was born to Queen Hatshepsut 3500 years ago, rose to power as a high-ranking leader among the Egyptian elite, was ousted in a coup, along with his mother, and records of his existence were systematically erased. Von Spaeth devotes a significant portion of the book to draw attention to a great number of parallels between Moses and Queen Hatshepsut's chief consul, Senmut. - Danish title: 'Gaaden om Faraos Datters Son', C.A. Reitzel Publishers, Copenhagen, ISBN 87-7876-195-6. In the third book Moses is an exiled prince who repeatedly tries to regain his claim to the throne of the pharaohs by coordinating a series of strategic uprisings in the margins of the Egyptian empire and a rebellion of Hebrew migrant workers. As the rebellion foils the workers start seeking their own land and sovereignty. - Danish title: 'Den Forsvundne Tronarving', C.A. Reitzel Publishers, Copenhagen, ISBN 87-7876-259-6. The final book in the series suggests that Moses skills derived from his legacy as a prince helped him unify the Israelite people by providing them with philosophy, political science, mathematics, and the development of a written system of language with its own alphabet enabling a formation of the biblical texts. - Danish title: 'Profeten som Ukendt Geni', C.A. Reitzel Publishers, Copenhagen, ISBN 87-7876-393-2. By using astronomical approach on the ancient Senmut star map, Ove von Spaeth computed and verified the presence of distinctive planetary conjunctions represented as a factual occurrence in the sky. This allowed the calculation of an exact dating of its time and thus the period in Egyptian history. - Centaurus International Magazine of the History of Mathematics, Science and Technology, Vol. 42;3, (July-August) 2000, pp.159-179, ISSN 0008-8984. In a critical edition of Tycho Brahe's poem, ‘Urania Titiani’, edited with translation, commentary and introduction by Dr. Peter Zeeberg, Ove von Spaeth contributed a review article and appendix in which he analyzed possibilities for a verification of relations between astronomical references within the poem and actual available astronomical data - and thus support the presented astro-mythological themes in the poem. (Tycho Brahe's ‘Urania Titiani’: Et digt om Sophie Brahe). Copenhagen University's ‘Renaissance Studies’, Vol.7, Museum Tusculanum Publishers, 1994, pp.311-321, - ISBN-10: 87-7289-278-1). In 1968, Ove von Spaeth edited and wrote a critical introduction and compendium and dictionary to the Danish yogi, Gunnar Raman's scholarly edition of Patanjali’s ‘Yoga Sutras’ with critical notes and review of classical commentary of the ancient work. Von Spaeth also designed the book lay-out and cover which went on to become an iconic symbol of Indian spiritual influences in the alternative cultural mileux of the 1960’s and ‘70’s in Denmark. - Strubes Publishers, Copenhagen, 1968. The book is an experiment in visual effects of images from cities around the world. Von Spaeth tries to enhanced the emotional experience of urban environments by using long exposures and typographic compositions containing multiple levels of printed text. - Strubes Publishers, Copenhagen 1966, & reprint 1969. Von Spaeth's typographic experimental book tried to capture a slice of contemporary history as it was unfolding in Denmark. The book's psychedelic subject is formulated through the author’s artistic layout and visual arrangement. - Strubes Publishers, Copenhagen 1967, & extended ed. 1969. Internet based: published more than 25 e-books on different subjects, 2009-2011, 2012, etc. - By permission, the treatise was published also in connection with Ove von Spaeth's history research - and is an appendix in vol. 2 of his book-series "Assassinating Moses" (of vols.1-5, C.A. Reitzel Publisher, Copenhagen). - Internet version: http://www.moses-egypt.net/images/dating_the_senmut_star_map.pdf . Dating the Oldest Egyptian Star Map, - central parts published by ed. D.I. Loizos, Professor in History, Editor-in-Chief, - Anistoriton Journal of History, Archaeology, & ArtHistory, Vol. 6/2002 (ISSN 1108-4081), (7 March 2002) - Anistoriton History Library, Athens, Greece - http://www.anistor.co.hol.gr/english/enback/v021.htm . The Suppressed Record; - Moses' Unknown Egyptian Background, "Assassinating Moses", Vol. 1, (Danish title: De Fortraengte Optegnelser; Moses' Ukendte Egyptiske Baggrund, "Attentatet på Moses", I), Copenhagen 1999. - Cf. : http://www.moses-egypt.net/book2/moses2-inform_en.asp . - Three chapters (of Vol. 1) in English on the Internet, e.g. : http://moses-egypt.net/book1/moses1-cap1_en.asp . The Enigma of the Son of Pharaoh's Daughter; - Moses' Identity and Mystery Re-evaluated, "Assassinating Moses", Vol. 2, (Danish title: Gåden om Faraos Datters Sön; Moses' Identitet og Mysterium Revurderet, "Attentatet på Moses", II), Copenhagen 2000. - Cf. : http://www.moses-egypt.net/book2/moses2-inform_en.asp . The Vanished Successor; - Rediscovering the Hidden War Leading to Exodus, "Assassinating Moses", Vol. 3, (Danish title: Den Forsvundne Tronarving; Moses' Skjulte Krig för og under Exodus Genopdaget, "Attentatet på Moses", III), Copenhagen 2001. - Cf. : http://www.moses-egypt.net/book3/moses3-inform_en.asp . The Secret Religion; - Moses and the Egyptian Heritage in Past and Present, "Assassinating Moses", Vol. 4, (Danish title: Den Hemmelige Religion; Moses og Arven fra Egypten i Fortid og Nutid, "Attentatet på Moses", IV), Copenhagen 2004. - Cf. : http://www.moses-egypt.net/book4/moses4-inform_en.asp . Prophet and Unknown Genius; - Illuminating Moses the Advanced Pioneer, "Assassinating Moses", Vol. 5, (Danish title: Profeten som Ukendt Geni; Nye Fakta om Moses' Avancerede Pionergerning, "Attentatet på Moses", V), Copenhagen 2005. - Cf. : http://www.moses-egypt.net/book5/moses5-inform_en.asp . Astronomical Dating Clue Inclosed In the Poem, (Danish title: "Astronomisk Dateringsnøgle Skjult i Digtet"), an Appendix for the book of Peter Zeeberg, cand.phil., Senior Researcher, Professor: "Tycho Brahe's Urania Titania. A Poem About Sophie Brahe", the edition in Danish (and Latin): "Tycho Brahes Urania Titania. Et Digt om Sophie Brahe", - publ. in the series Renaessance-studies, Vol. 7, Museum Tusculanum, Copenhagen University 1994, pp.311-321, incl. illus. - cf. http://www.mtp.hum.ku.dk/details.asp?eln=200404 . Review of: Deborah J. Warner's "The Sky Explored. Celestial Cartography 1500-1800", Astronomisk Tidsskrift, 14th year, 1981, pp.177-179. Definitions, & parts of Introduction to "Patañjali's Yoga Sutras. With the Classical Commentaries" (in Danish: "Patañjali's Yoga Sutras. Med de klassiske kommentarer", collected, edited, and transl. into Danish by G. Raman), Copenhagen 1968, pp. 9-13 and 91-95. Psychedelical '67, (Psychedeliske '67, in Danish only), Copenhagen (1967), 2nd printing, enlarged edition, Copenhagen 1969. The Science And the Historical Moses, Swedano Journal, 2nd year, no.9, Sep.2003, pp.34-36. Internet version: http://www.thirax.dk/artikler/OveSpaeth/Ove17/17a.html - & - http//:www.moses-egypt.net/book4/moses4-debate_en.asp . Pattern, Universe and Ancient Knowledge, as presented as an appendix in: Lynnclaire Dennis: "The Pattern", Vol. 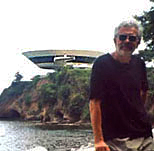 2, Lower Lake, Calif., 2001. Also publ. (updat. 2003 and later) by: Swedano Journal, 3rd year, no.3, Mar.2004, pp.5-7; & - Aspiranten Journal, (Norway), 2nd year, no.3, May 2004, pp.17-20; - Internet version: http://www.thirax.dk/artikler/OveSpaeth/Ove4/index.html . 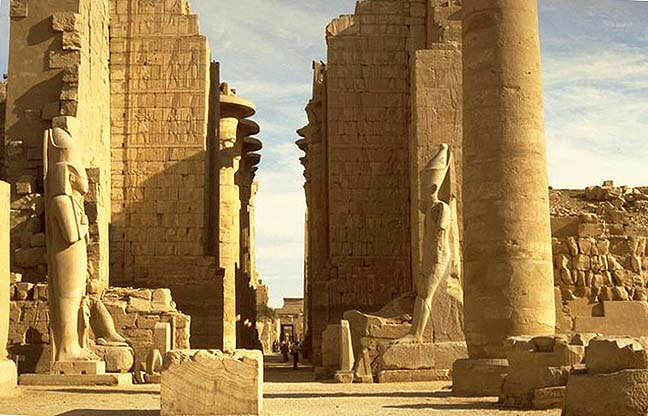 The Knights Templar's Ancient Wisdom From Egypt - and Moses, Swedano Journal, 2nd year, no.6, Feb.2003, pp.34-46; - & - updat. version in: Aspiranten Journal, (Norway), 2nd year, no.5, Sep.2004, pp.11-17. - Internet version: http://www.thirax.dk/artikler/OveSpaeth/Ove30/index-uk.html . The Knights Templar and Moses' Hidden Treasure, Aspiranten Journal, (Norway), no.10, 3rd year, 2005, pp.13-19. - Internet version: http://www.thirax.dk/artikler/OveSpaeth/Ove30/index-uk.html . The Light's Open Dimension in a New Era. An Introduction to Ulla Runchel's Research of the Future, preword in: Ulla Runchel: "The Age of Light", Universal Growth Publishing, Phoenix, Arizona, USA, 2004, pp.7-10. - Internet version, article: http://www.thirax.dk/artikler/OveSpaeth/Ove15/index-uk.html . A Genius of the Highest Order, (by Dianna Padgett & Ove von Spaeth) - Internet version: http://www.thirax.dk/artikler/OveSpaeth/Ove10/index.html . Nostradamus And the New Millennium, Sideways of Astronomy History, Aspiranten Journal, (Norway), 2rd year, no.6, 2004, pp.7-14. - Internet version: http://www.thirax.org/Artikel-X/Ove18/index-uk.htm . Star Knowledge in Ancient Egypt, Swedano Journal, no.6, 2nd year, Feb.2003, pp.47-59. - Internet version: http://www.thirax.dk/artikler/OveSpaeth/Ove21/index.html . Archaeological Finds and Biblical Statements, feature article, Kristeligt Dagblad (Danish daily), 31 May 2005, p.8. - Internet version in English: http://www.moses-egypt.net/book3/moses3-debate_en.asp . Tracking the Moses Heritage From Egypt, Swedano Journal, 1st year, no.1, Sep.2002, pp.53-66 - featuring article. - Internet version: http://www.thirax.dk/artikler/OveSpaeth/Ove5/index-uk.html - & - http://www.moses-egypt.net/book5/moses5-debate_en.asp . Science-Myths and Historical Facts, Swedano Journal, 3rd year, no.2, Feb.2004, pp.12-14. - Internet version: http://www.thirax.dk/artikler/OveSpaeth/Ove17/17a.html - & - http//:www.moses-egypt.net/book1/moses1-debate_en.asp . New Life and Meaning into the Study of History of Religion, by Jurij Moskvitin, M.A. mathematician & M.A in Philosophy. As presented to Weekendavisen (Newspaper Magazine of Culture), November 2004, & and Information daily, May 2005 - Literature Article: - Internet edition: http://www.thirax.dk/artikler/OveSpaeth/Ove26/index-uk.html . A New Focus on the Life of Moses, by Richard M. Stern, Dr.rer.Nat., - Swedano Journal, (15 October 1999) September 2002, Literature Article, SweDano Journal, www.swedano.dk, & www.thirax.dk . - Internet edition: http://www.moses-egypt.net/book1/moses1-reviews_en.asp . Surveying the book-series about historical Moses, by Ulla Runchel et al., - Internet edition: http://www.thirax.dk/artikler/OveSpaeth/Ove29/index-uk.html . On "The Suppressed Record", Thirax portal, Internet version: http://www.thirax.dk/artikler/OveSpaeth/Ove7/index.html . Danish research projects after 1950, ed. Claus Houlberg, astr. cand.arch., exam. psykoterp., - Astrology Museum, Research and Archives: Star Knowledge in Ancient Egypt, by Ove von Spaeth (summer 2003): http://www.astrologimuseum.dk/forskningsarkiv/dansk/forskningsprojekt.html , & www.astrologimuseum.dk/Download/tidsskrift/vol1/artikler/403-adc.pdf . On The Dating of the Senmut map, Robert H. van Gent, DrSn., - Faculty of Physics and Astronomy, Utrecht University, - History of Astronomy Discussion Group, - Message No.165 & No.179 - (20-21 January 2002): http://wvnvm.wvnet.edu/htbin/listarch?hastro-l&a:scmcc.archives . Remarks about the Appearance of Mars in the Tomb of Senenmut in Western Thebes, by Christian Leitz, (Affiliations: 1: Seminar für Ägyptologie, Universität zu Köln, 50923 Köln, Deutschland) - in: Centaurus, Volume 44, Numbers 1-2, July 2002, pp. 140-142(3) - Blackwell Publishing, International Publishers Ltd. - publ. on the Internet: http://www.ingentaconnect.com/content/mksg/cnt/2002/00000044/F0020001/art00005 . Looking Outside of Biblical Traditions, (about New Research - done by a Danish scholar into the historical Moses), by Ray Kaliss, The Genesis Letters, Public and Private online Library, - distribution.moraff, (February 2002): - http://www.thegenesisletters.com/Library.htm . Clyde W. Tombaugh Papers, Manuscript Collection, New Mexico State University, Department of Astronomy: (on p. 55 ff:) professional correspondence, No. 90:14 Ove von Spaeth, Ch., 1975 & 1987. - Library Archives and Special Collections Departement (Rio Grande Historical Collections, MSC 3475, P.O. Box 30006, Las Cruces, New Mexico, NM 88003, USA). (4.Apr.2004): - http://archives.nmsu.edu/exhibits/tombaugh_website/clydeaid.pdf . Fascinating Research Done on Moses, by Ray Kaliss, info, - The Byzantine Forum, Byzantine Catholic Church in America, opinion, Posts: 253 - From: Meriden, CT (11.Jan.2003): - http://www.byzcath.org/cgibin/ultimatebb.cgi?ubb=get_topic;f=4;t=000792;p=2 . The Hebrew University of Jerusalem, Jewish National & University Library: "NNL data - BkLocation - SYSNO 1926709 - Author: Spaeth, Ove von - Title, Attentatet paa Moses / Ove von Spaeth - 1999 - (MOSHE) Bible - Biography - Moshe,Moses. - Base 99." : - http://ram1.huji.ac.il/ALEPH/eng/NNL/NNL/FIND-A . Oriental Institute, University of Chicago, Research Archives, - http://www.oilib.uchicago.edu/oilibcat.html , & http://www.oi.uchicago.edu/OI/DEPT/RA/Research_Arch_Guide.html . La Bibliothèque d'Égyptologie, Collège de France, Paris, Cabinet d'Égyptologie, - http://www.egyptologues.net/pdf/bibliotheque/acquisitions2001.pdf . The Danish Ministry for Foreign Affairs: "Recommended literature for Department for Development Aid", an official recording published by the Royal Danish Embassy of Egypt in Cairo, 1999: - http://www.um.dk/en - (Aug.1999 & Oct.2001) & http://www.u-web.dk/paedservicecenter.htm . Biblioteca de Humanidades de la Facultad de Geografía e Historia de la Universidad Complutense de Madrid, Spain, - http://www.ucm.es/info/antigua/gerion/g2001Publicaciones.htm . The Welcome Library for the History and Understanding the Medicine, London, (October 2000) - current work: - http://library.wellcome.ac.uk/resources/cw/archive/oct00-synopsis.rtf . Вопросы хронологии - Датировка египетского гороскопа не по Фоменко (Russian web site), by Zdhems, Dist, - (188.) gorm: - 09 Февраля 2001 (09 February 2001). - http://hbar.phys.msu.su/gorm/wwwboard/voprchr/981745387.htm . Elio Jucci, Ricercatore Confermato - Lingua e Letteratura Ebraica - Dipartimento di Scienze dell'Antichità, Facoltà di Lettere e Filosofia - Università di Pavia, Itália - http://members.xoom.virgilio.it/Shib/calendar.htm , & http://lettere.unipv.it/SETH/calendar.htm .